mobilee097 Marcin Czubala "Bad Boy Campbell" Bad Boy Campbell Funktion Layers Marcin Czubala is mobilee’s EP releasing machine. 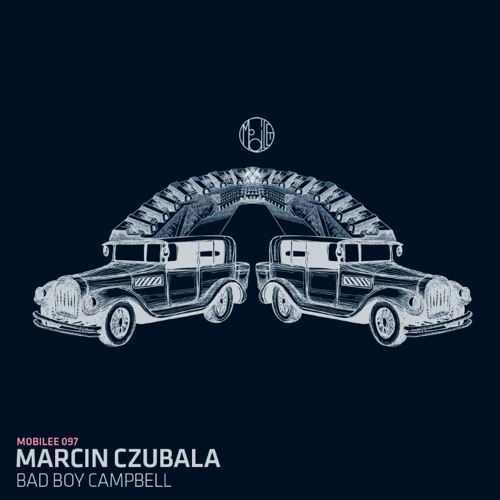 Back on the grind with the ninth Extended Play to boot, this Polish beat maestro is in serious business with his new three-part release titled “Bad Boy Campbell”. The first self-titled track progresses from space odyssey-like sounds diving into a head-on leap into full-blown flickering baselines. Soulful vocals corresponded by electric buzzers weave gracefully in and out of the track making this piece a dance floor favorite. “Funktion” keeps the groove marching to a different beat of the drum, or shall we say, strings? As baselines and percussion take a ride in the backseat, the listener can almost visualize Czubala’s conducting in a Fantasia of symphony strings flirting with various electronic elements. Finally, as its title implies, the last number is rich in “Layers.” The multitude of quirky and abstract sound effects prancing around throughout the track are trippy enough to make the listener feel he is teleporting into a Mad Hatter electronic pin-ball game. Marcin Czubala currently resides in Poznan, Poland and is available for international gigs.